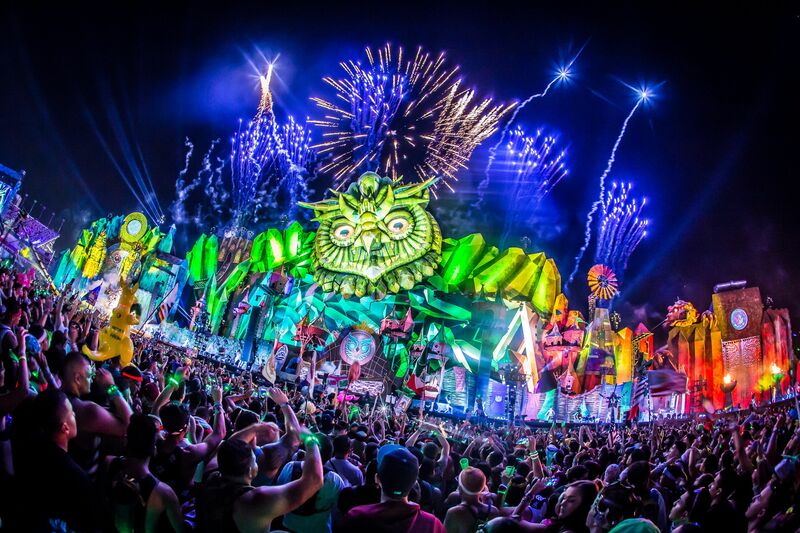 With EDC just a few short days away, there is so much to prepare and be excited for. 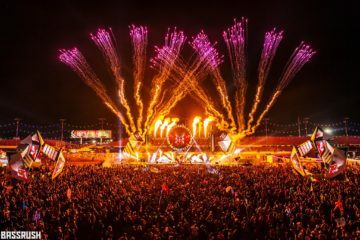 Many of you already have a “must see” list in the back of your minds with major names, but we have compiled a list of artists on this year’s EDC Las Vegas lineup that you should definitely take the time to check out. 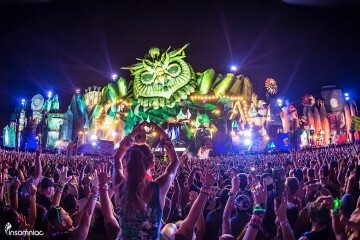 A festival like EDC Las Vegas, as well as the surrounding EDC Week events, is an awesome way to discover sounds you may not have listened to before, so let us help steer you in the right direction! Chris Lorenzo’s resume has a long list of talents from producer, remixer, DJ, and Rinse FM host, but his innovation of “house & bass” out of Birmingham UK is like no other. He has attracted so much attention lately that even Skrillex felt the need to crash one of his gigs and convince him to come down to the studio to work on a collab. Another notable collab is with none other than the Night Bass king AC Slater called ‘Fly Kicks’. The two performed a b2b at Ultra Miami in March of 2016 for an epic set on the OWSLA Stage. 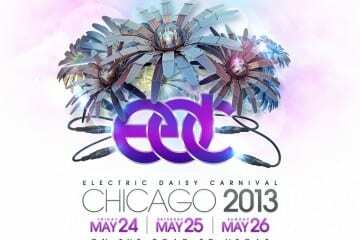 If you are ready to kick off EDC weekend strong, Crizzly is one of the best ways to do it. The Texas native throws down some of the most high-energy shows with the perfect balance of dubstep and hip hop known by his fans as “Crunkstep.” His 2015 EDC performance was off the charts so we can expect big things from him this year as well. Though it’s been a minute since he’s released music, you’ll certainly hear some unreleased tunes in his set…you won’t want to miss this! With their second appearance at EDC Las Vegas, Hotel Garuda is ready to make a major impact. Consisting of Manila Killa and Candleweather, the duo has attracted attention from almost every corner of the music world with over 25 million streams on SoundCloud as a result. Hotel Garuda debuted their first single ‘Smoke Signals’ this year with PRMD Music. Their official remixes have climbed to the top of the charts on Hype Machine, generating recognition from the likes of Billboard, Complex, and Harper’s Bazaar. Just over a month ago they released their official remix for Blonde and Craig David’s ‘Nothing Like This’. Sam Vogel, otherwise known as Jauz is one of the hottest names in electronic music right now. Between original tracks like ‘Feel the Volume’ and remixes like ‘Hella Hoes’ working their way into sets across the globe, there is simply no denying the LA DJ/producer’s talent. 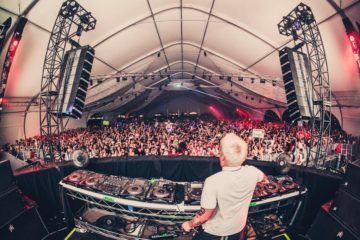 His ability to work with such a wide variety of genres has attracted attention from a number of the industry’s heavy hitters such as Zedd, Skrillex, Borgore, and more. With the mantra “music has no boundaries”, it’s safe to say that Jauz will deliver a high-energy show you’ll not soon forget. Having only started producing three years ago, the 18-year-old artist from Florida has made leaps and bounds when it comes to the progression of his skills. He attributes much of his electronic inspiration to Swedish House Mafia’s track ‘One’, as it steered him in the right musical direction. The up-and-coming producer has already released music with This Ain’t Bristol, Audiophile, and Warm Walls Records. This weekend will be his first time playing EDC Vegas and he just released his song ‘Together’ on Insomniac Records’ EDC Vegas compilation. 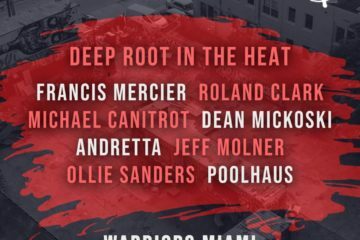 As one of Rolling Stone’s “Top 10 Acts to Watch This Year”, the self-taught Miami producer has been cranking out top shelf remixes for major names like Dillon Francis and Skrillex. 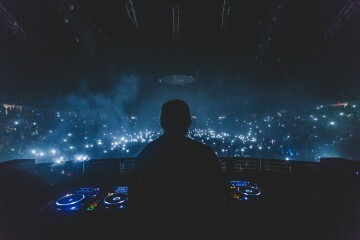 Lookas is the mastermind behind a number of well-known remixes for tracks like ‘Tsunami’ by DVBBS and ‘War’ by Low Rider, but the release of his own single ‘Apollo’ has gained massive attention as well with over two million plays on SoundCloud. He just released his collaboration with Crankdat, ‘Game Over’ on Insomniac Records’ debut EDC Vegas compilation. He graced the stages of Ultra Miami for the first time this past March and this will be his second appearance at EDC Vegas. Martin Solveig has had his fair share of hits over the years, but his ability to outdo himself with every release truly sets him ahead of so many artists out there. His influence on the future house genre has allowed him to reinvent himself yet again— even after a rewarding career with four studio albums, a summer residency at Pacha Ibiza, and more. Solveig’s shows never fail to entertain and are complete with funky visuals that will put you in a totally new element. If you aren’t familiar w/ Nicole Moudaber by now then it’s time to scope her productions and mixes b/c she’ll leave you in a trance with her multiple hour long sets. Nicole is a veteran to the electronic scene and continues to evolve as an artist every single year. For instance she just released her dark, techno remix of Coyu & Ramiro Lopez’s “That’s Not Happening” on John Digweed’s Bedrock Records. She’s also no stranger to EDC or other Insomniac events – she hosted her own stage “MoodZONE” at EDCNY this year and it was a huge success with appearances from herself, Chris Liebing, Lauren Lane, Mind Against, Paco Osuna, and Thugfucker. From the moment Ookay stepped into the electronic music scene, he has taken off without looking back. After making a name for himself in recent years as a trap DJ, Ookay has since branched out to a number of other genres. The latest hit called ‘Thief’ has been taking over the music scene, expanding beyond the reach of electronic music alone. Ookay’s live performances have been the highlight of a number of shows and festivals in the last year or two, so definitely check this one out. The trance tycoon Paul van Dyk is making his official return to live performances after an almost life-threatening injury back in February of 2016. 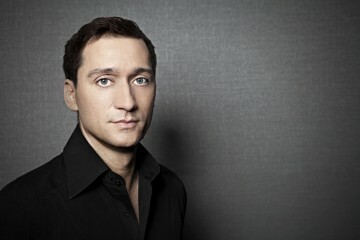 When it comes to electronic dance music and the name Paul van Dyk, you can’t really have one without the other. Paul has delivered dance music anthems time and time again, earning a laundry list of awards and titles that many artists only dream of. The trance veteran’s highly anticipated return, combined with EDC’s twenty year anniversary will surely be a welcome sight for fans of all shapes and sizes. Pendulum’s comeback performance at Ultra Music Festival earlier this year was an incredible moment for drum & bass fans around the world. Seeing one of the most iconic and popular DnB groups ever closing out the main stage of one of the biggest dance music festivals in the world no doubt exposed thousands of unknowing people to the power and ferocity that is drum & bass. 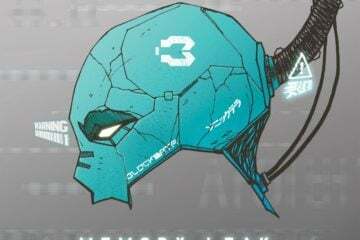 With their performance, fans were expecting a full reunion tour, however Pendulum’s appearance at EDC is just a DJ set, featuring El Hornet & MC Verse. Fear not, however, as Pendulum’s DJ sets are often more raucous than their live sets (though, admittedly, a completely different vibe). If you’ve never seen Pendulum before and you’re still interested in one of the premiere DnB groups in the world, it’s definitely worth checking out. This Vermont native has been producing music and touring across the nation for several years now, but in 2015, Pierce really had a revival and came out with a fresh, innovative sound combining his former uplifting Progressive House sound with his classic and alternative rock roots. Within the last year he’s released originals like ‘No More’ and ‘Losing You’ on Armada. A month ago he also debuted his own vocals in the song ‘False Proof’, which we can expect to hear more toplines from him in future songs. 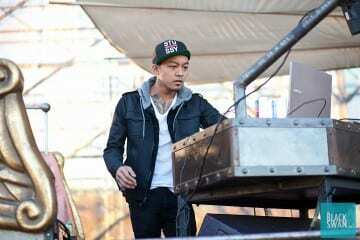 This weekend will be his first time playing EDC Las Vegas so catch his set because he’ll definitely drop some IDs. Shiba San’s addicting sound has been making some serious waves lately. By finding a balance between hip hop and house, for what is fittingly described as bass-heavy ghetto funk, the Paris native delivers seemingly effortless sets every time. As part of Claude Von Stroke’s Dirtybird label, Shiba San’s music has made its way to the top of Beatport’s house chart and ranked number three all around. For more of an underground Dirtybird vibe, definitely give Shiba San a listen. The London duo has made their career based on pushing boundaries within the bass music scene by staying true to their love of grime and hip-hop. From successful headlining runs in the U.S. to touring with Dillon Francis in the U.K. and working with other top-shelf artists like Troyboi and Mr. Carmack, they have smashed through tours all over the world. They are currently in the midst of a 2016 world tour which has featured a bus tour with Keys N Krates, a show at SXSW and Miami Music Week, as well as massive shows in Los Angeles and San Francisco. More focused than ever, nothing can stop the #stöökimovement.